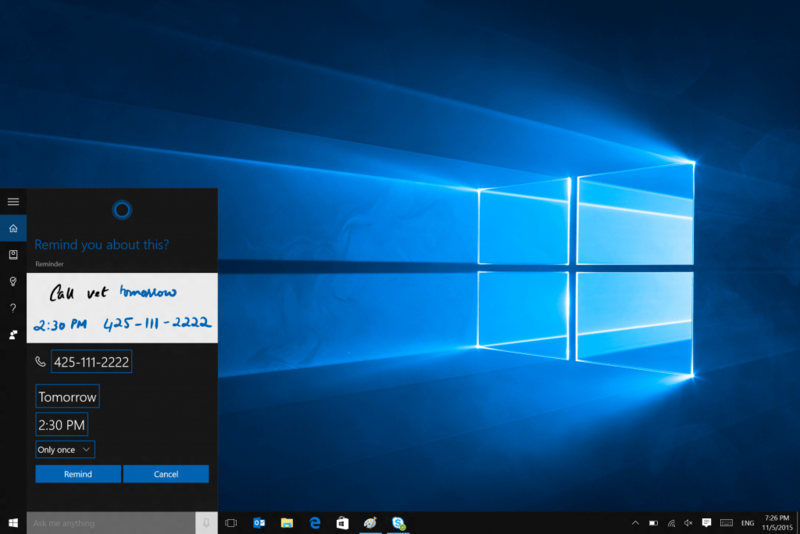 Microsoft has released Windows 10 for PC’s first major update (version 1511, 10586). This update known by the code name Threshold 2 or Fall update contains some new features and user experience improvements. The update contains Microsoft Partner device drivers and applications updates for better Windows 10 compatibility, some fine tuning, fixes and improvements to the Operating System. Microsoft is confident the latest update to Windows 10 makes it usable by all (especially enterprise users) who have some doubts said Executive Vice President, Microsoft Windows and Devices Group Terry Myerson. But most importantly, with this free update we have reached the point in the platform’s maturity where we can confidently recommend Windows 10 deployment to whole organizations. Experience improvements like; Faster boot up time and better performance with every day task. Cortana can now set reminders using device’s pen, keep track of event and movie bookings and the option to book and track an Uber ride right from your event reminder. Cortana becomes available in Japan, Australia, Canada in English and India in English with features and experiences customized for each market. Microsoft Edge received improved performance and security, now syncs your Favorites and Reading list items across devices, the Tab preview which allows you to hover over your open tabs and get a preview of what’s on those websites without leaving the page you’re on. The Mail, Calendar, Photo’s, Maps, Grove, Skype and Xbox apps have all received a number of tweaks and improvement; better multitasking, also the introduction of Phone and Messaging apps that’ll help you communicate off your Windows 10 Mobile device from your PC, like reply incoming calls with text, sending SMS (currently being handled through Cortana). Some Security features include; the introduction of Windows hello; which enables people to login with either fingerprint or facial recognition, Find my device etc. 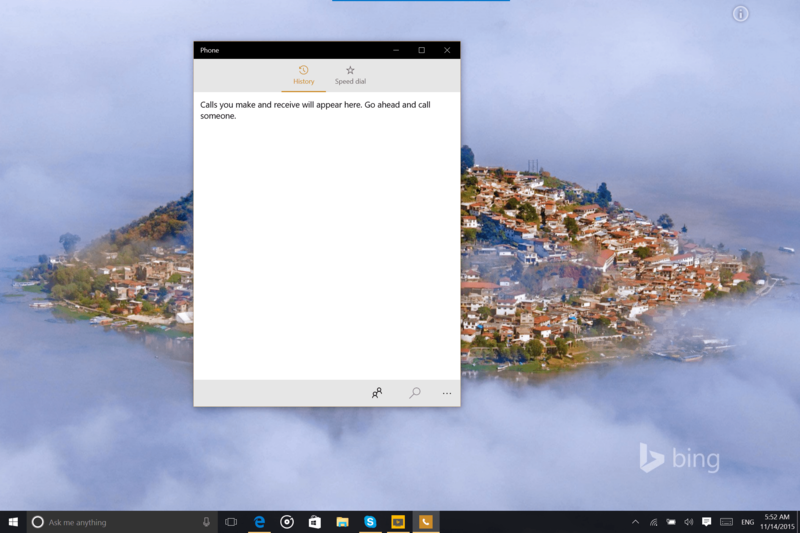 You can check out more details shared by the Windows Central team . Like I mentioned earlier, the update will show up in windows update and will install after downloading if you already run windows 10. If you are running windows 7 or 8.1 if you wait a bit longer it’ll come through windows update as Microsoft has made certain changes that will put windows 10 update as part of the recommended updates. Why wait when you can have it now? Using Microsoft’s Media Creation Tool, you can trigger the update and run the upgrade or save the file on a USB drive or as an ISO file for maybe a clean install. 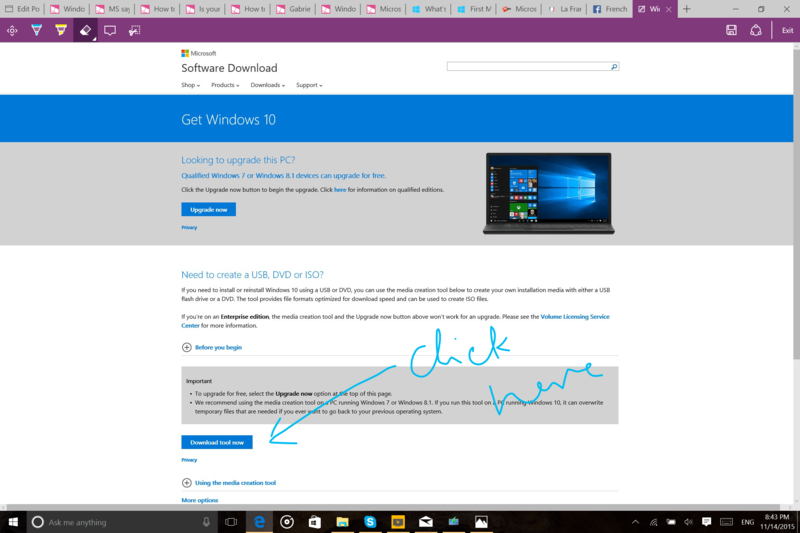 Click on the download tool now, save or run the file and follow the instructions to upgrade. 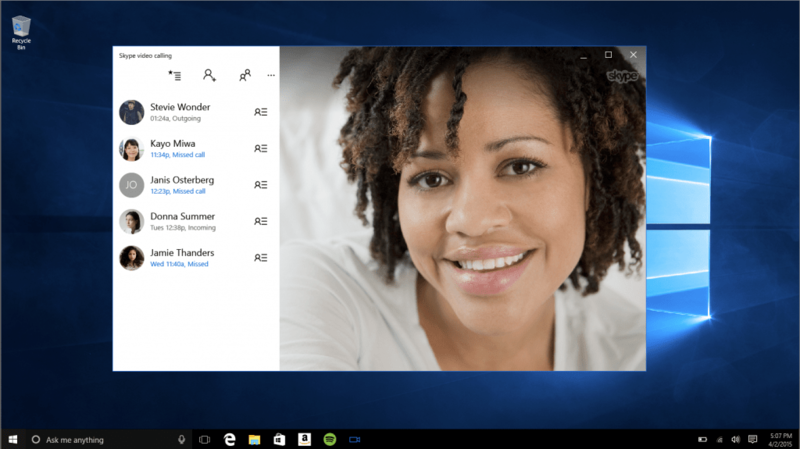 Do the upgrade and tell us what you think of Microsoft’s Windows 10 First Major Update. Have a question? ask us. Don’t forget to check up on updates, live and trending information from my twitter feed @silverscholar.